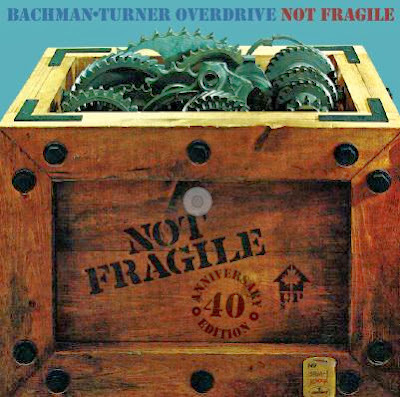 Bachman-Turner Overdrive will release a 40th Anniversary Edition of their 1974 classic, “Not Fragile”, on March 18. The band’s third album, “Not Fragile” went on to sell over 3.6 million copies worldwide, fueled by the strength of the smash single “You Ain’t Seen Nothing Yet”, a track not intended to make the album that shot to No. 1 in a dozen countries and Top 10 in a dozen more. The 40th Anniversary Edition will be released digitally, on a two CD expanded set and on re-mastered 180 gram vinyl. The reissue comes two weeks before Bachman-Turner Overdrive will be inducted into the Canadian Music Hall of Fame at the 2014 Juno Awards in their hometown of Winnipeg, Manitoba on March 30.